I’m back! What a perfectly lovely week it’s been. Now it’s back to the grindstone…but no biggie. I’ll be able to eat homemade frozen yogurt and ice cream while I grind away, thanks to my new Cuisinart ice cream maker. I’m so excited, people, I can’t even stand it! 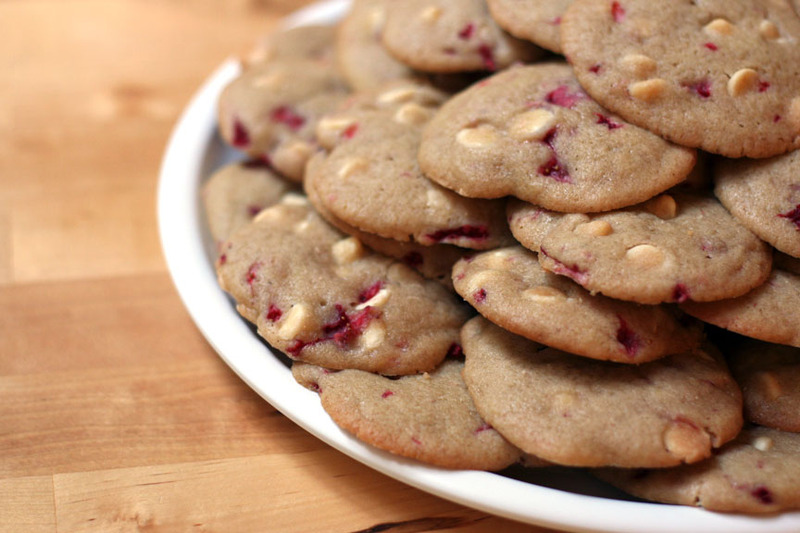 Before I forget…I made these White Chocolate Strawberry cookies (pictured) for Cate’s birthday party last week and they were a hit. You can find the recipe here. – Oh my, another holiday on which to indulge. I’m gonna get together a bunch of snacky food – artichoke dip, chicken tenders, some sort of salad, etc…I’ll share the real plan later this week. – I’m going to try a recipe from my Sunset magazine, which I just started reading and LOVE, by the way…still need to choose the recipe! Can’t wait to see what you are cooking up this week! Share your menus! 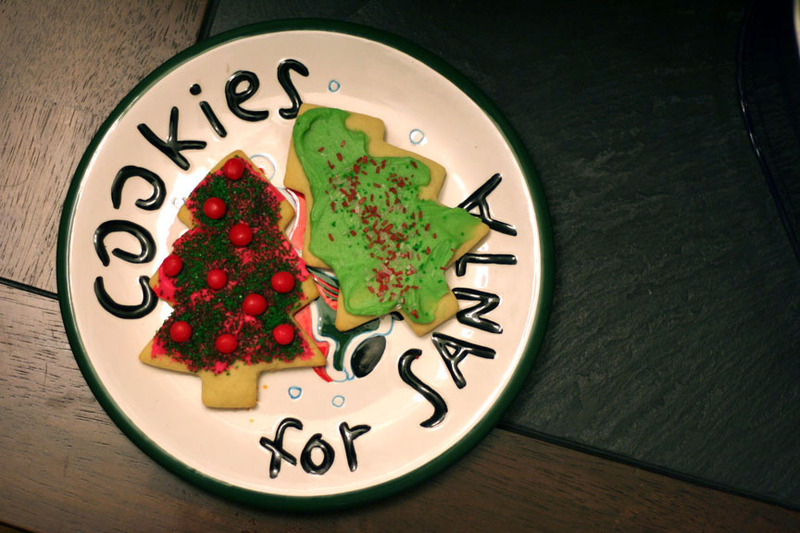 Cookies for Santa. Check. Kids in bed. Check. ‘A Christmas Story’ playing in the background. Check. More beautiful memories created. Check. Have a wonderful Christmas and see you in a few days! Need to warm up now that we’re in the dead of winter? 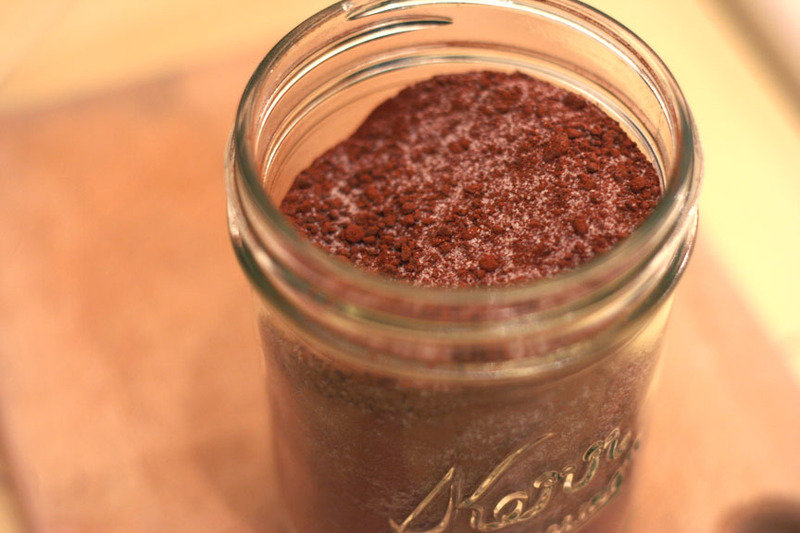 Then hop to it and make this great vanilla hot chocolate mix! Our friends the Neilsons brought this mix over the other night (we have been so spoiled this year by homemade yumminess from so many friends!). Nate and I have had hot chocolate the last two nights. I’m considering NOT sharing with Cate. Yeah, I’m a great mom, eh? Here’s the recipe, if you want to make it for friends…or yourself! 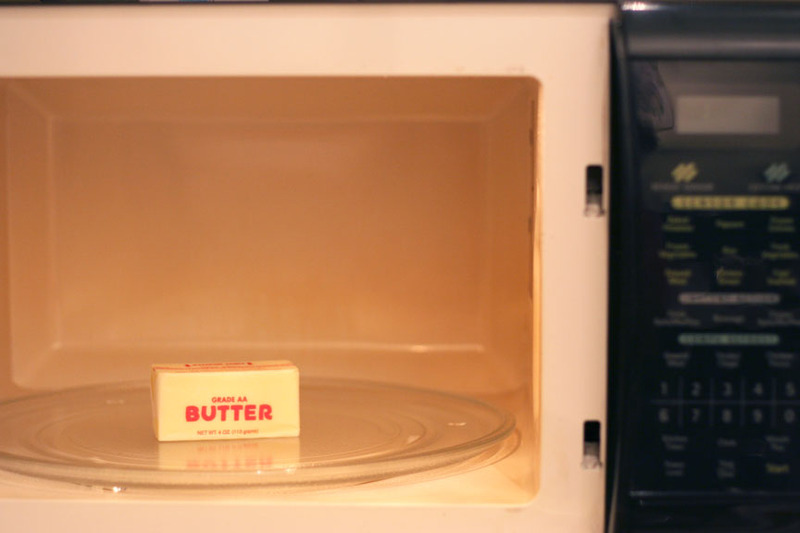 For each serving, heat 8 ounces milk in small saucepan over medium heat until scalded (or microwave 2½ minutes at full power). Whisk in ¼ to ⅓ cup mix. Serve with unsweetened softly whipped cream or marshmallows. ”¢Dutch process cocoa has been treated with an alkaline solution, which gives it a darker color and less bitter flavor and makes it dissolve more easily. Droste is a good brand. Wow! 100 menus!!! Time sure does fly when you’re having fun! Now for my 100th menu. How fun that Christmas falls during this week! Can’t wait to see your menus! 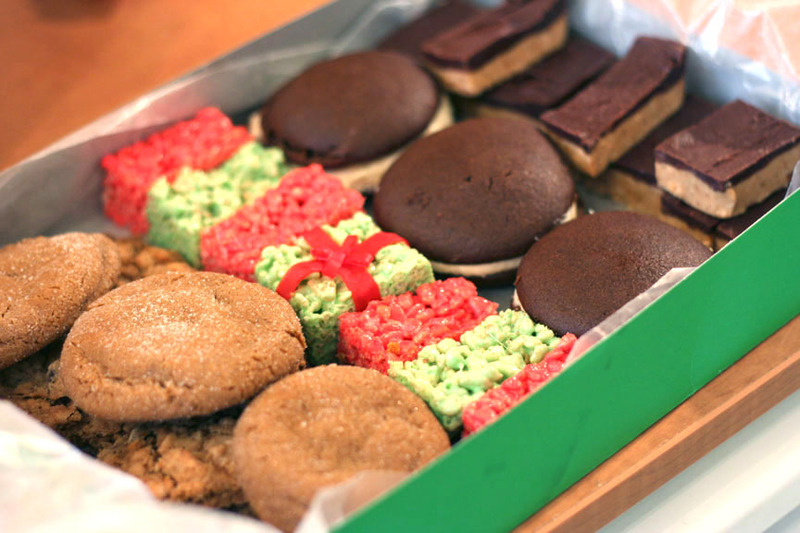 And feel free to share family holiday traditions (even if you don’t have a menu)…food traditions & otherwise! Time to announce the ProFlowers giveaway winners…yeah, I know, I should have done this hours ago and I’m sure you’re all sitting at your computers waiting…but I was very tired today. Hosting a party with 16 three- & four-year-olds will do that to you! Without further ado, the two randomly-selected TWFD readers, who will each receive a $100 ProFlowers gift card, are…. Congratulations, ladies! What a lovely holiday surprise for you both! For the rest of you…you’ll get more chances, promise! Big thanks to ProFlowers! Lindsay, my amazing friend who cooks amazing food, shared today’s Kitchen Tip with me months ago. I finally used it for the first time last night with great success! I’m so excited to share! Lindsay cut these towel strips for me (from here on out called “cake strips”) and gave them to me as a little gift. Here’s how to use them: wet with water, wrap around cake pans and attach with safety pin. 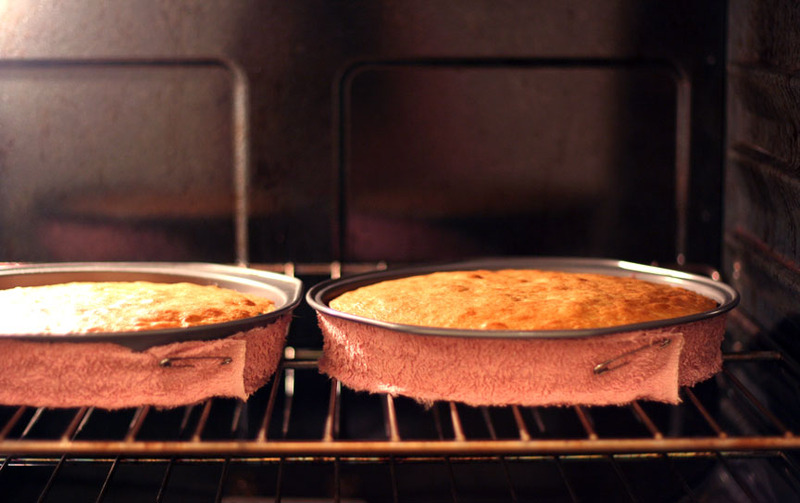 Why would you want to dress your cake pans in a pretty pink towel? Well the cakes stay moist around the edges AND, as you can see from my picture, they stay flat! No big dome in the center of the cake. I am SO HAPPY to have learned this little trick. You can buy cake strips (just Google ‘cake strips’)…but why spend money when you can just cut up an old towel and use a safety pin? PS – Neither Lindsay or I have ever had a cake strip catch on fire. They ARE dry by the end, but have never had issues. I guess what I’m saying is it seems pretty safe…but if your cake strips light up, well, consider this my statement of “This Week for Dinner is not liable for cake strip fires.” Honestly, you should be FINE. How’s that for a disclaimer? My attorney would be so proud. Last chance to enter the ProFlowers free, random giveaway. To enter, click here to add a comment on the original giveaway post. You have until Midnight (PT) TONIGHT! Good Luck! I grew up with a mom who made amazing birthday cakes. Snoopy, rainbows, lions, cars…you name it, she’s caked it. I remember my birthday cakes. I loved my birthday cakes. I want my kids to remember and love theirs. Cake masters! I know you’re out there! Divulge your secrets! 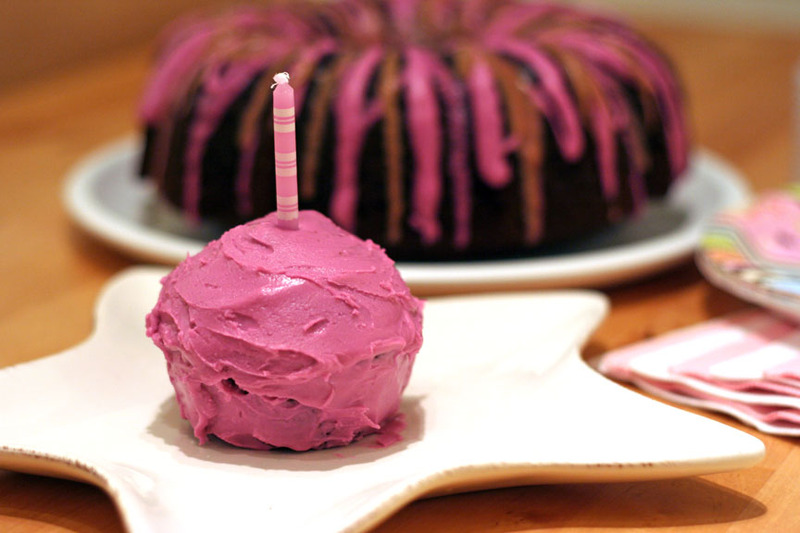 Please share your best cake decorating tips, recipes, anything. I need help!!! 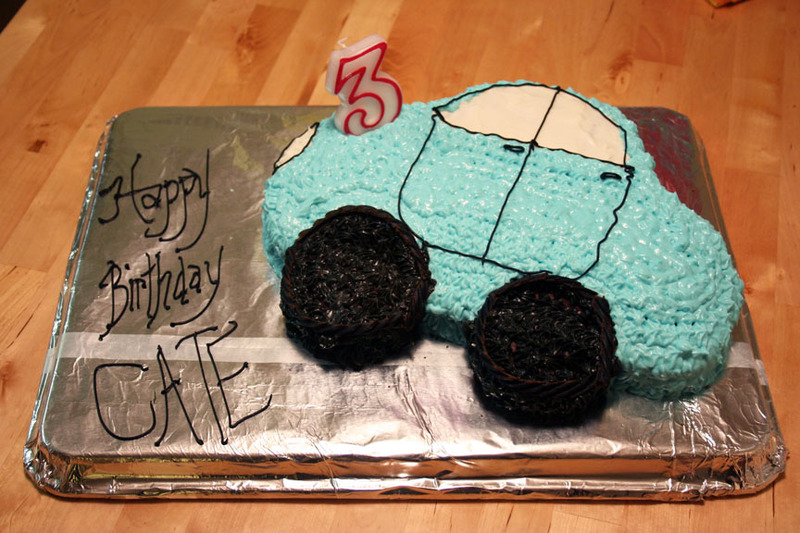 If you want a taste of the ideal that’s in my head…here’s the cake my mom made for Cate last year. Too cute! Yeah, my car cake would NOT have looked like that. You know I love ProFlowers…and the love affair continues. Look at this GORGEOUS wreath I just received from ProFlowers. I seriously love it. I saw another eucalyptus wreath at the store today and thought, “Bah! Mine is better!” If you send this wreath to someone, they will love you forever. It’s the holidays, which means another ProFlowers giveaway on This Week for Dinner! Yea! Two randomly-selected TWFD readers will each receive a $100 gift card to use at ProFlowers.com. 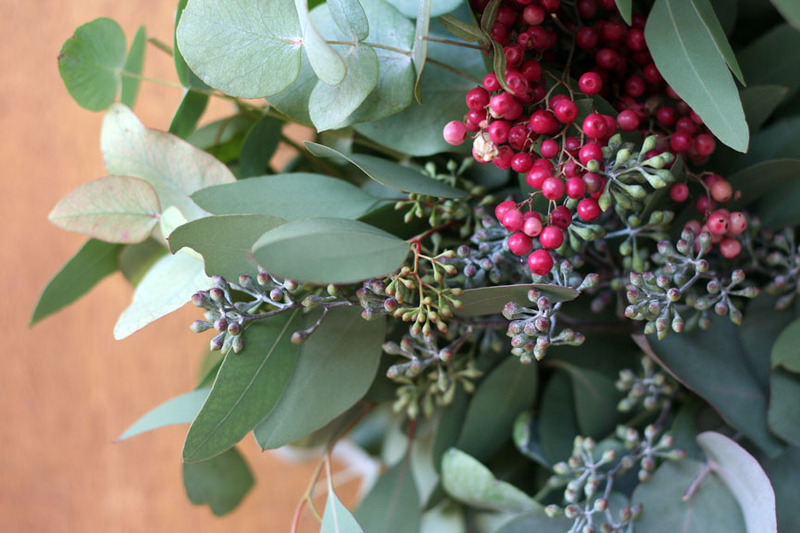 Yes, it’s the holidays and you can use your winnings for gifts…but I won’t tell if you order yourself a nice bouquet and some hand-dipped berries (my personal fave). You deserve it! You know the drill…leave a comment, any comment, by Midnight PT, Friday, December 19. Only one entry per person, please. Winners will be announced on Saturday, December 20. Big thanks to ProFlowers. And for 15% off your entire order, click here, or on any ‘ProFlowers’ reference in this post…just in time for the holidays!